Mountains don’t need to be too high; they become famous with immortals. Seas don’t need to be too deep; they become magical with dragons. Thus is my simple hut, which has only the fragrance of my virtue. Green lichen is growing up the steps; the color of grass is coming through the windows. Fine talk and humor have erudition; no ignorant people possess them. 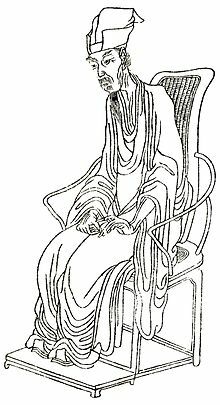 (A learned scholar) can play a simple qin, or read the Diamond Sutra. There is no jarring sound of common music, or straining over laborious official records. Confucius said, “(If a virtuous gentleman lives there), how can it be (a) crude (dwelling)”? This poem by Liu Yuxi, a poet, philosopher and essayist from the Tang Dynasty, resonated deeply with me, because to me, Feng Shui is not just about Heaven Qi like calculating the Flying Star to imprve our “luck”, but it is also about the quality of Human Qi and where we chose to live. A knowledgeable gentleman living in a simple rustic hut has a better chance of obtaining good Feng Shui than an ignorant ruffian living in an artificial and opulent mansion. Keeping things simple and straight-forward rather than coarse and complicated is a “ziran” 自然 (being natural and self-thus) way to achieve good Feng Shui. We tend to keep forgetting this age-old wisdom. This is so beautiful! Hope it’s ok to share this (with credit of course.) Thank you. You are welcome, Norrye and thank you for your interest in my blog.